We are very pleased to announce that we will be displaying our models at the Uffington Show on the 30th & 31st August. If any member wishes a ticket, please contact the secretary quoting your membership No. A great day was had at this years Ducklinton Show We all had an enjoyable day with a good display of models and lots of interest shown from the general public. Another good day with 14 members taking part. lots of boats and engines on display with plenty of interest shown from the general public who asked many questions. Bruce Fleet gave several members a go on his fantastic steam lorry. Our Club put on a display at the Fairford Steam Rally on the weekend of 22nd-23rd August. It was well supported with lots of members showing of there boats. Home About Us Gallery News Contact Us Buy & Sell Who is sailing? This two day event was well supported on the Saturday despite the wet weather. lots of boats on display and plenty of sailing on our pool. A fantastic day with a great turnout of members showing their models. We where very well looked after with free tea & coffee supplied by the host club. Our club put on a good display of model boats and engines. particular interest from the public regarding the engines with plenty of questions to try and answer. It was a very good show, Our thanks to Brian Young for making this event possible. Well the last display of the year and what a great place to have it. With hundreds of model boats to see and lots of dealers to supply us with our needs. We had lots of visitors that asked lots of questions about all our boats and with all our experts on tap we where able to help them. 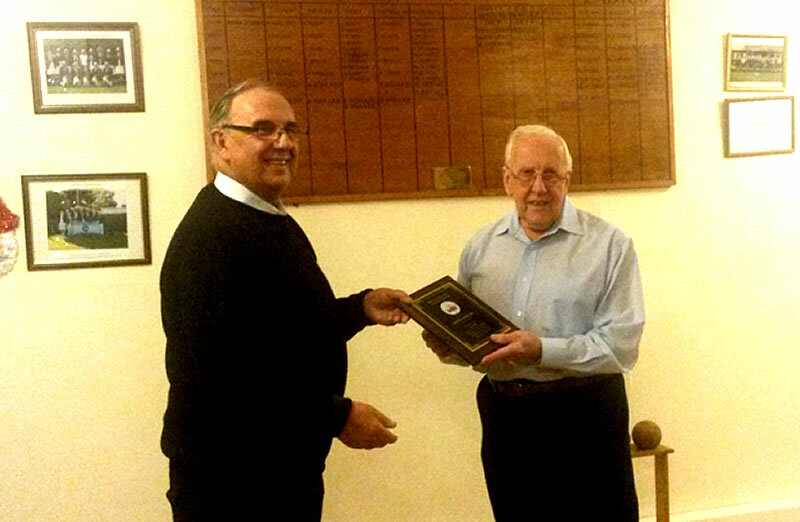 At the annual skittles night and presentation evening in December, Colin Maxfield, our hard working secretary, arranged a surprise presentation to George Kirkham who celebrates 70 years in the S.M.B & E.C. George was honoured by a plaque & certificate commemorating his 70 years as President & Chairman, his wife Joan was also presented with a bunch of flowers. What a fantastic milestone, congratulations & thank you from us all. George was also a bit of a celebrity on Wiltshire Radio this year as he took part in an interview showing us his model boats.